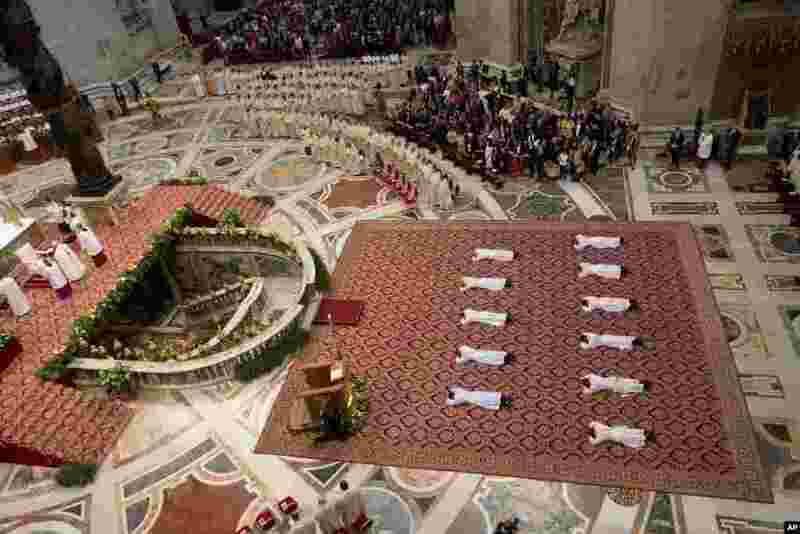 1 Eleven new priests lay on the ground during a ceremony in which Pope Francis ordained them, in St. Peter's Basilica at the Vatican. 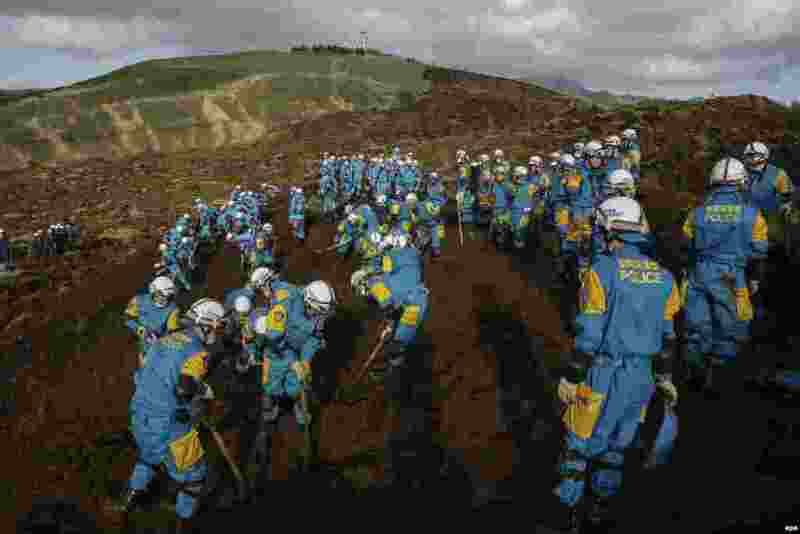 2 Rescue workers search for missing people at a massive landslide caused by a magnitude 7.3 strong earthquake in Minamiaso, Kumamoto Prefecture, southwestern Japan. 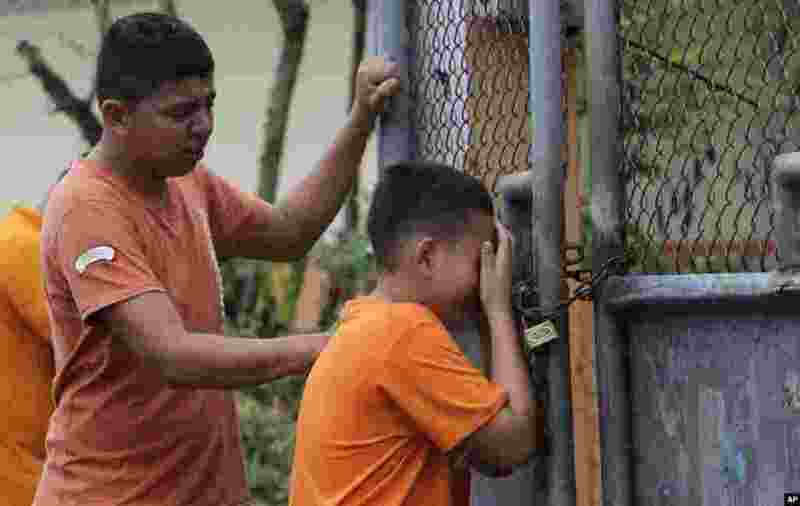 3 Boys cry as they find out that their sister has been killed in an earthquake in Pedernales, Ecuador. The 7.8-magnitude earthquake flattened buildings and buckled highways along its Pacific coast, sending the Andean nation into a state of emergency. 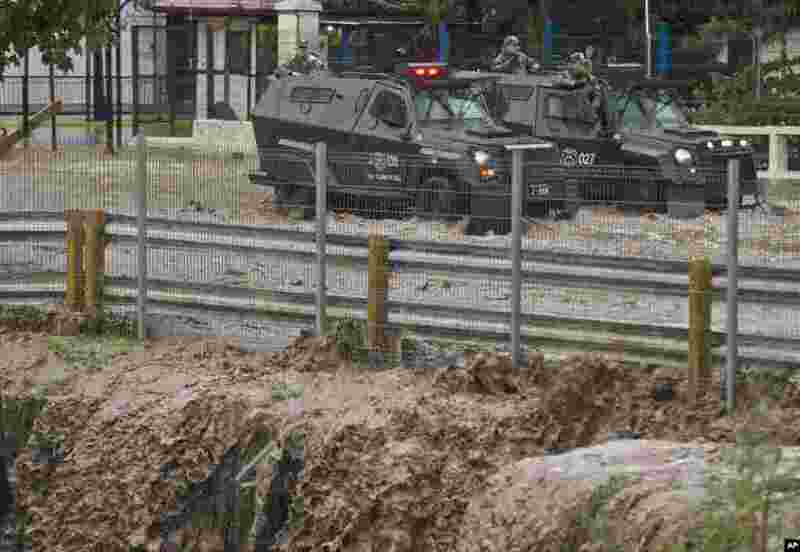 4 Two police armored vehicles stand in a flooded street due heavy rains in Santiago, Chile.